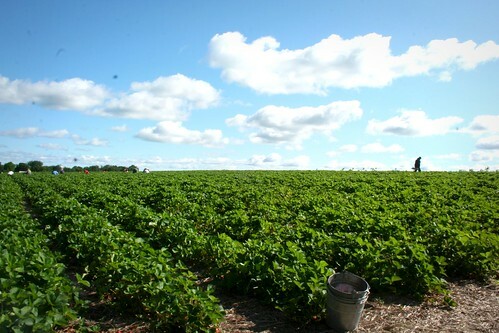 A few weeks ago, I stood in a field in the early morning light and breathed in the fresh, sweet scent of strawberries. I’d gone to visit the Bardenhagens’ centennial farm, a series of rolling green hills perched above Sutton’s Bay. 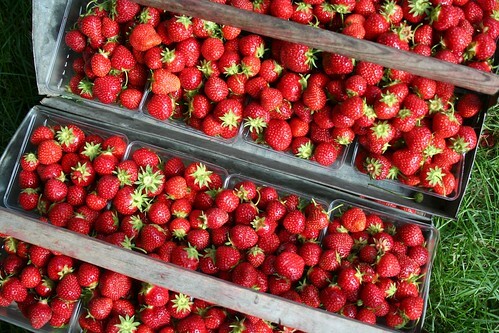 Justin discovered the farm in 1982 during his search for the ideal domesticated strawberry, a strawberry as brightly aromatic and intensely flavorful as the wild strawberries he remembered from childhood. He sampled at least a dozen varieties before falling in love with the Early Glow, a small, low-yielding berry so difficult to grow that few local farmers even planted it. Gary Bardenhagen, our exclusive strawberry source for nearly 30 years, shares Justin’s affinity for the divine but difficult Early Glow. 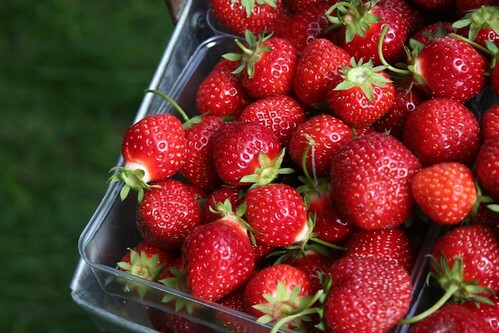 Other varieties are nice for a while, he says, “but I could eat Early Glows all season long.” So the low-growing green leaves covering the hills he’s recently passed on to his son Steve shelter thousands of the tiny red berries. 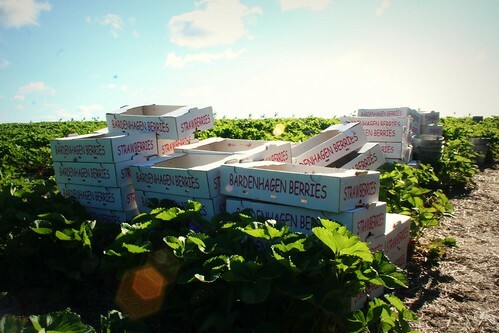 For three weeks each June, three generations of Bardenhagens spend their mornings in the strawberry patch, sorting through freshly picked berries, packing them into cardboard flats, and sending them out to local markets. A berry picked in the morning could be in your kitchen by noon. 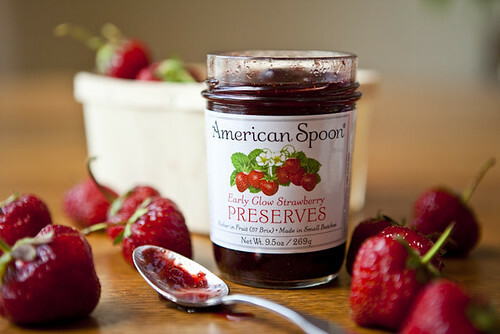 Or it could be in ours, simmering away gently in our copper kettles to be preserved for a year’s worth of intense strawberry enjoyment.